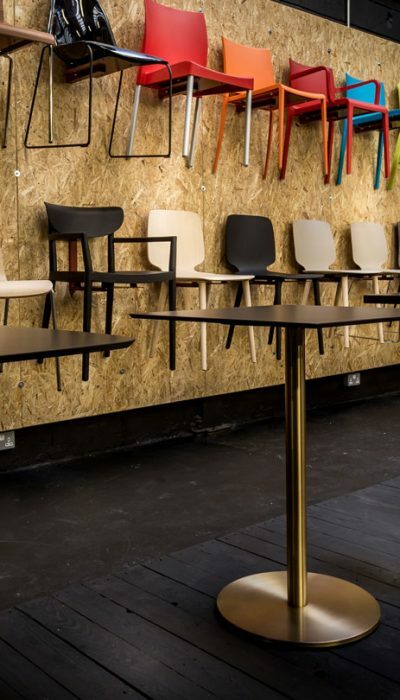 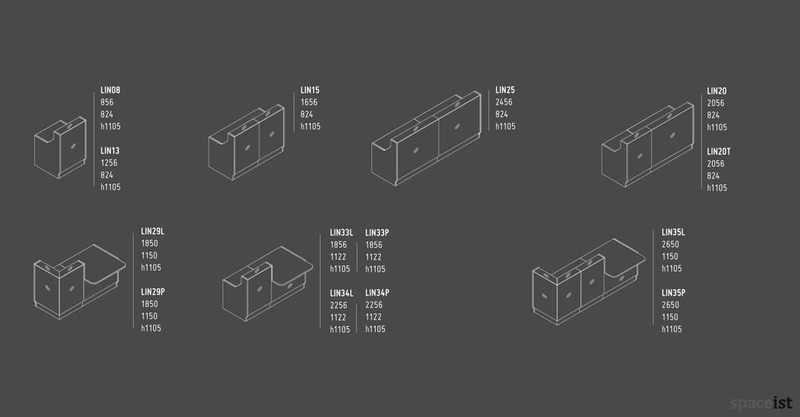 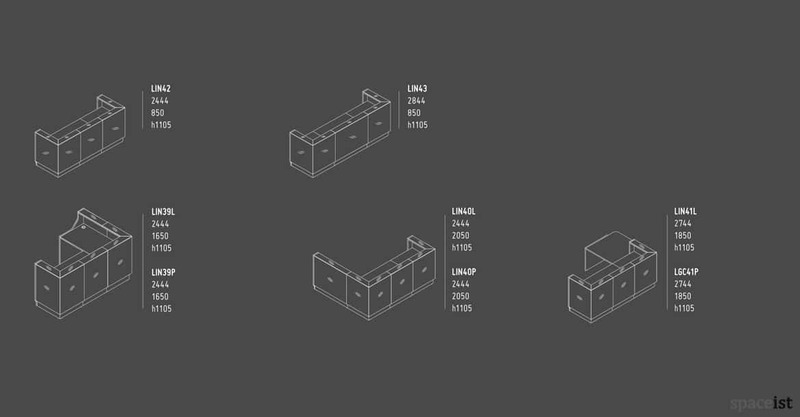 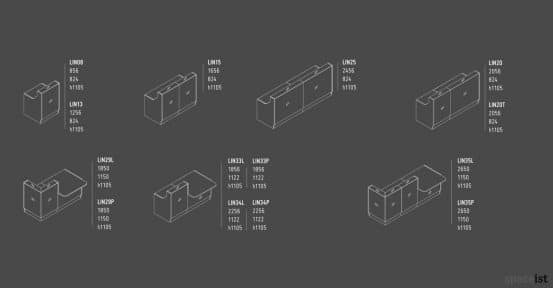 The versatile Lina modular system is available in a number of possible size options. 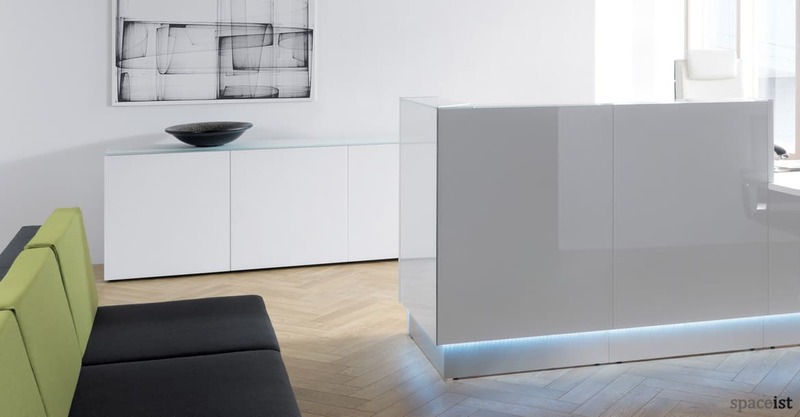 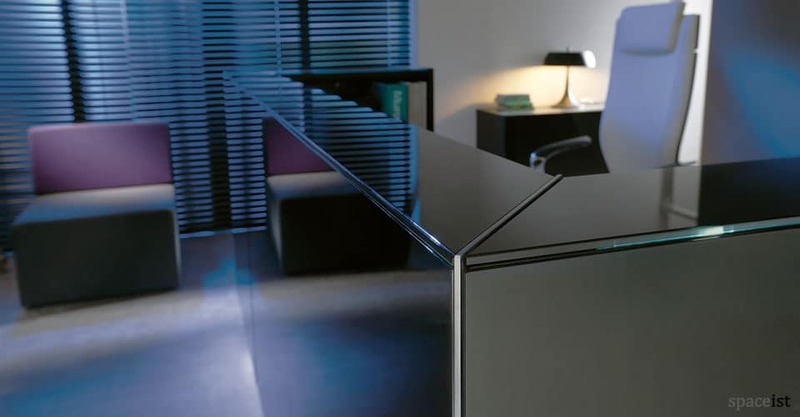 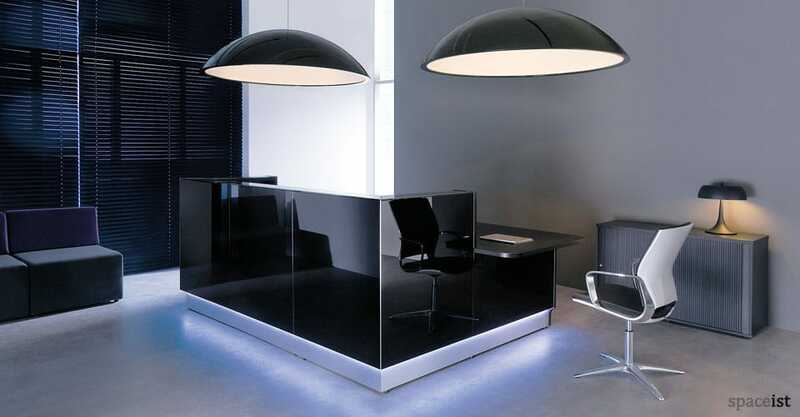 Here, presented is an elegant black U-shaped glass reception desk is in a low desk option for seated users. 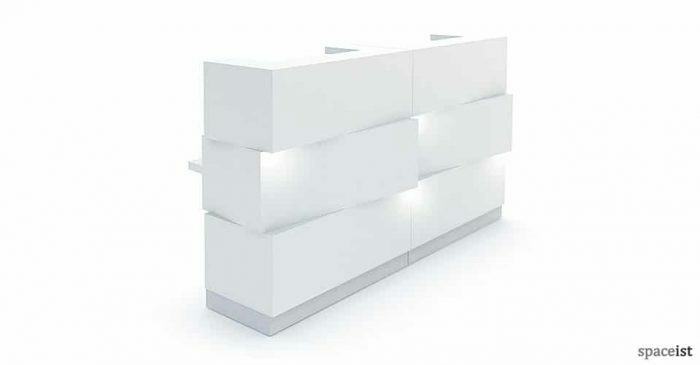 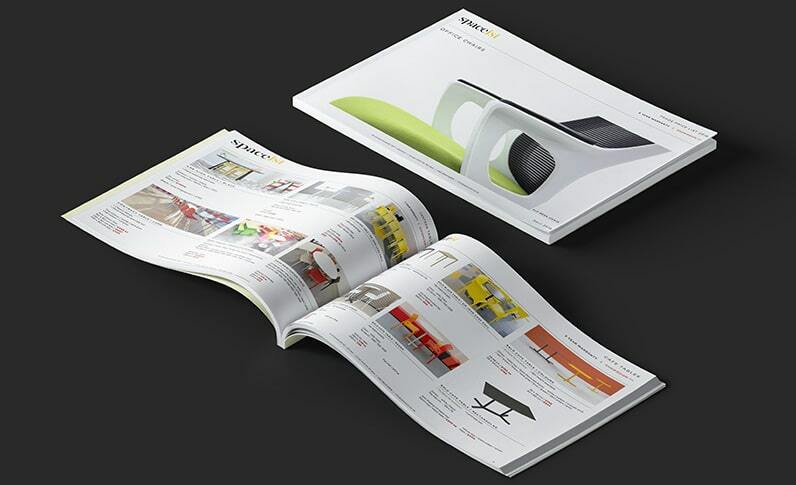 The front and side panels are separate making it possible to choose a choice of colours. 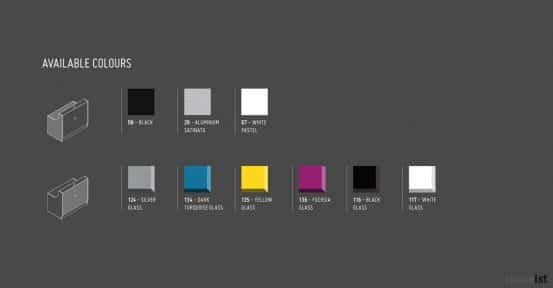 Front glass panel colours include black, white, silver, turquoise, yellow or pink. 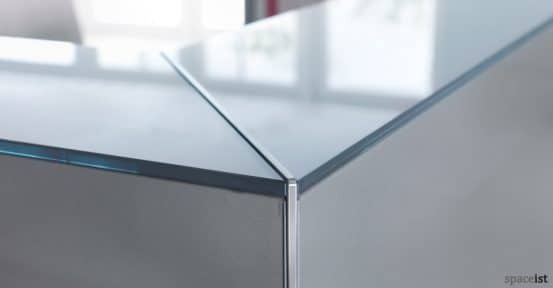 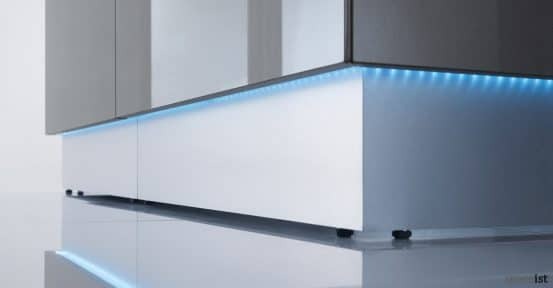 Side panel glass colours come in white, black or silver. 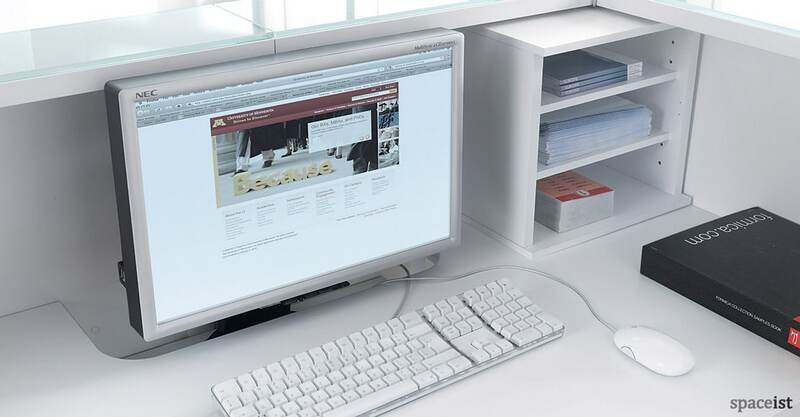 To place the monitor under the counter top, the monitor self is placed below the work surface – see image three. 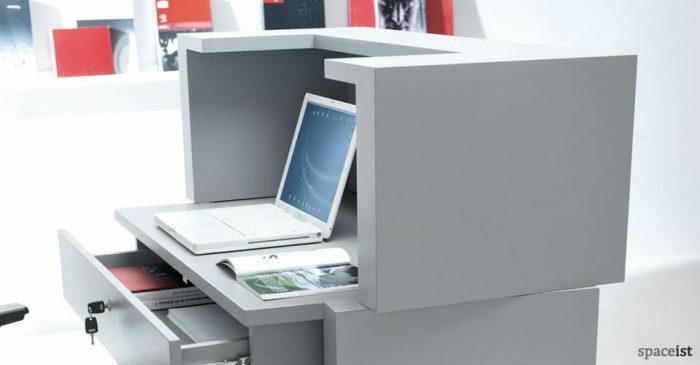 Cabinets and letter trays etc are optional extras. 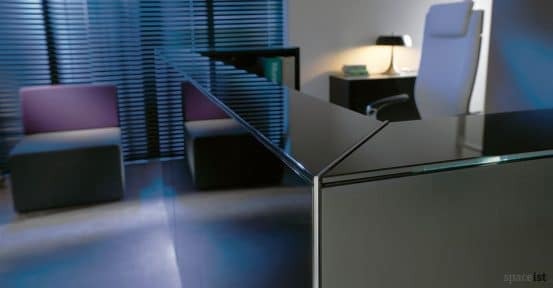 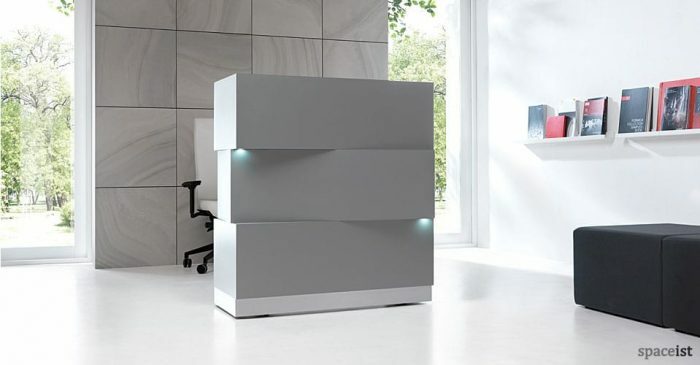 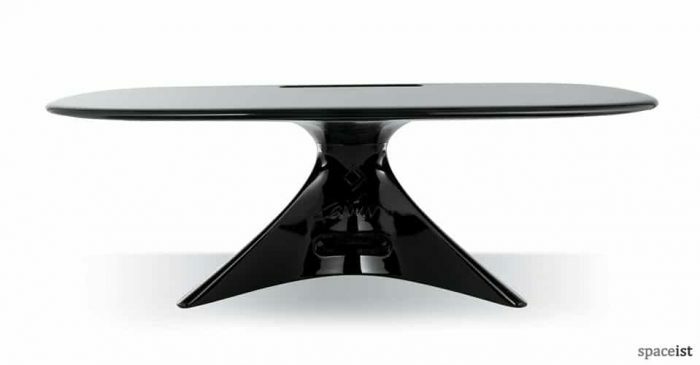 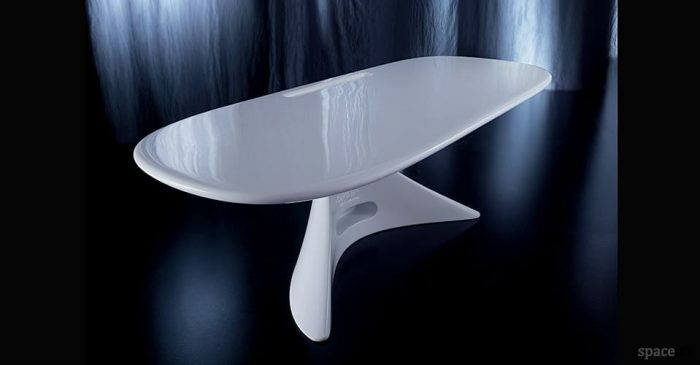 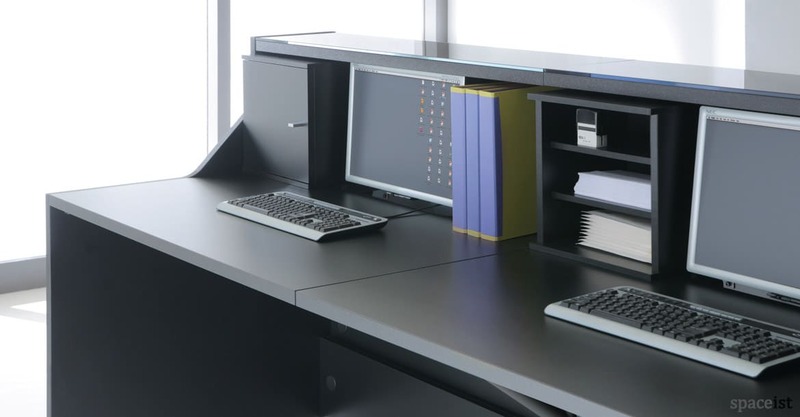 The Lina desk can be made for your specific shape, so please see us the size of space it is required to fill and we will send you sizes and prices.